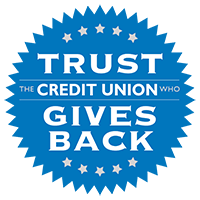 ARLINGTON, Texas – June 6, 2018 – Texas Trust Credit Union has awarded $8,000 in college scholarships to two Arlington ISD graduating seniors. 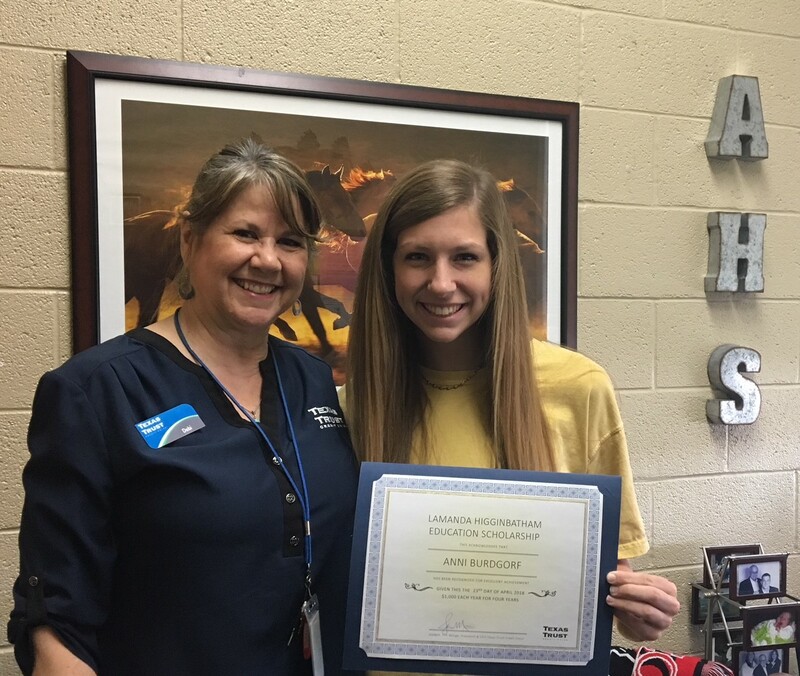 Anni Bergdorf, who plans to major in special education at Texas A&M University, is the recipient of the Texas Trust Lamanda Higginbotham Education Scholarship. 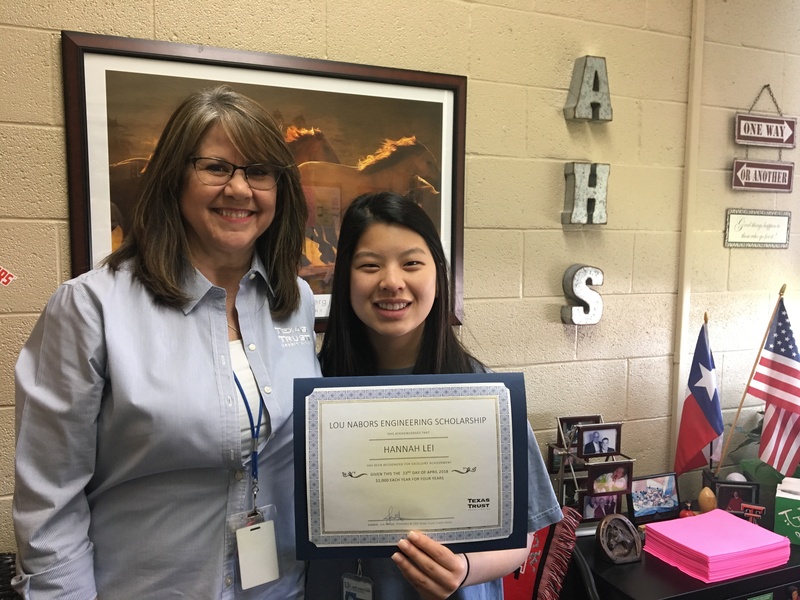 Hannah Lei received the Texas Trust Lou Nabors Engineering Scholarship. 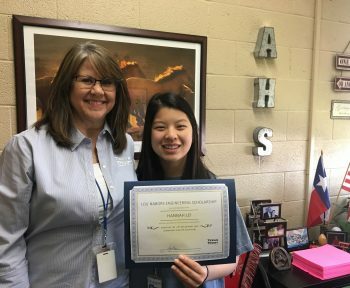 She hopes to attend Harvard University or Duke University to study computer science and electrical engineering. Besides being an active high school student, Lei works part time at Lockheed Martin Aeronautics. The Lamanda Higginbotham scholarship is named for the wife of Texas Trust board member Don Higginbotham. The Lou Nabors Engineering scholarship is in memory of a past board member. 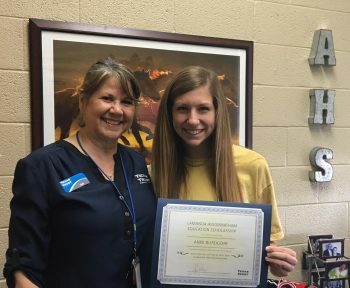 Each scholarship recipient receives $1,000 per year for up to four years.